Over the years, we have certainly taken our shots at the US Patent & Trademark Office (USPTO) and the increasingly ugly state of software patents in the US. Given that history, we are somewhat torn over the surprising news that the head of the USPTO, David Kappos, will be stepping down from his post in January. David Kappos inherited an incredibly difficult job and has made good strides in his post, but has also missed some big issues. getting the patent system under control. 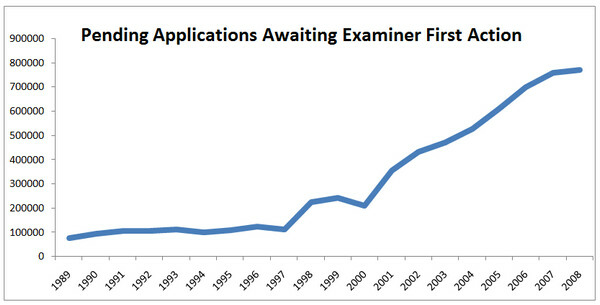 As you can see in the graph to the right, before Kappos took the position of Director of the USPTO, the number of backlogged patent applications had swelled precipitously. In his relatively short time as the head of the USPTO, Kappos made some very important changes: he boosted the number of patent examiners, and worked with Stack Exchange for help in crowd-sourcing prior art on patent applications. Both have been helpful in working through the insane amount of patents filed, and in working through the huge backlog of patent applications. Kappos also got the America Invents Act pushed through Congress last year. The AIA does a number of things to help make the USPTO better, but the main feature, which is somewhat controversial, is that it will change the patent system in the US from a "first-to-invent" system to a "first-to-file" system, starting with patents filed after March 16, 2013. This will undoubtedly make patent lawsuits and similar patent filings easier to work through because it is easier to show who filed an application first than it is to show who actually invented the thing first. The AIA will also attempt to get patent trolls under control by instituting new rules stating that non-practicing entities (NPEs) will have to file one lawsuit per defendant. This would mean that patent trolls would have to file individual patents for each defendant rather than lumping everyone together under one lawsuit. No one is quite sure how this will ultimately play out, but the hope is that not only will the cost of filing lawsuits become prohibitive for patent trolls, but that more lawsuits would present more opportunities for a patent to be invalidated. 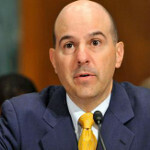 Unfortunately, for all the good he has done, Kappos has also repeatedly ignored a few main issues that many point to as problems with the USPTO. It's all well and good that the USPTO can review patent applications faster, but if it is using the same old criteria in those reviews, it doesn't help all that much. Firstly, patents can be filed and approved without a working prototype, which means that a company can get a patent for a product that never makes it to market, or comes to market in a very different form. In fact, the new provisions in the AIA could make this even worse, because now you just need to be the first to file the patent, not the first to actually make a product. Secondly, patents can be granted regardless of how incredibly broad the language may be, or how inane the the difference from another patent. 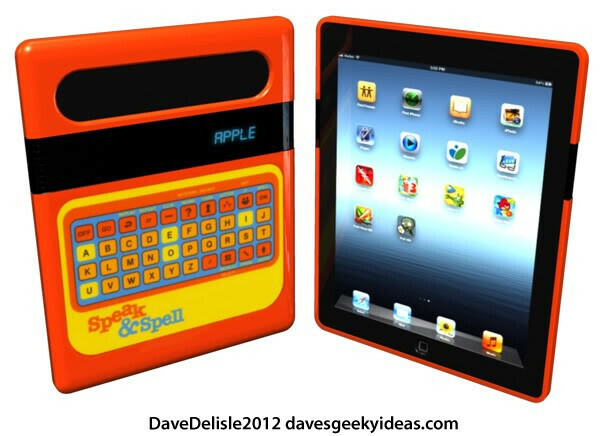 Just because you put it on a touchscreen doesn't make a "slide-to-unlock" bar any different from a physical slide-to-unlock latch on a laptop, just like rounded square icons are no different than the buttons on a Speak & Spell. As we've said before, you should not be allowed to patent a logical conclusion. Lastly, and most importantly, Kappos has confused the speed of innovation that we're currently seeing with a working patent system. Just six days ago, Kappos gave a speech called "An Examination of Software Patents" in which he repeatedly took issue with anyone who called the patent system "broken" (as we have on more than one occasion). Kappos did admit that "the history of software patents is not a perfect one, although things are improving." He pointed directly to the smartphone patent wars and to the fact that "over 80 percent, the courts have construed the software patents at issue as valid" and "those few decisions appealed to the Federal Circuit are affirmed 95 percent of the time" as being proof the system works. The issue we take with that idea is that even if we were to agree that the patent system "works", that doesn't mean it's the best it can be, and it doesn't mean that there aren't some aspects of the process that are fundamentally broken. Sure, patents may be marked as valid and held up to appeal in the courts, but that ignores the myriad patent infringement lawsuits that are taking place, or the existence of patent trolls, which are big problems. Perhaps Kappos could have been the guy to keep pushing forward and making the USPTO better, he has certainly done good things so far in his time, but regardless, he will step down as Director of the USPTO in January. Kappos hasn't made the moves that we may have wanted, but he has done some things to improve the USPTO. He certainly could have done more, but given the mess he inherited, he didn't do a terrible job, especially given the speed at which government moves, and the fact that his major contribution, the AIA, hasn't fully gone into effect. It is not yet official, but it is assumed that the Deputy Director of the USPTO, Teresa Stanek Rea, will take over as Director of the USPTO. In his speech last week, Kappos said that those who call the system "broken" should "move beyond flippant rhetoric and instead engage in thoughtful discussion". Well, we think we've done exactly that. Kappos made strides, but left some big issues unattended. We can only hope that Ms. Rea heeds our concerns. "Kappos has confused the speed of innovation that we're currently seeing with a working patent system." Hell yeah!! Maybe the stupid patents will be heard less of now...unless Kappos' junior takes hold of it...running his own world. finally!!!! The MORON is GONE! Explain how he is a moron, please. Its pretty self explanatory... brb, googling patent trolls, compiling chart of ever increasing incidents, and lack of resolutions by the USPTO.... ok, done! """"finally!!!! The MORON is GONE!""" Patent trolls aren't something new that have come about because of Kappos. There's a big difference between creating a problem, and not being able to fix a problem, especially when it comes to government. Kappos was only the head of the USPTO for 4 years, which isn't that long given the speed at which government works. Kappos did try to fight patent trolls, but his measures in the AIA haven't had time to fully play out, since the Act was just passed last year. Sorry to say, but I don't understand why you won't explain your comments. It seems extreme to call a guy a moron and then not give any explanation to back up that claim. Whether you agree with the man or not, it does not make him a moron. Also, it's the system and laws you should be going after, not the man who is just doing his job. The America Invents Act of 2011 is what is the problem. It changed the entire system from being the first to invent something to the first to file. The problem with this setup is that well-established businesses that have attorneys on hand with familiarity of the patent system have a keen edge over entrepreneurs that don't have expensive attorneys or a good enough knowledge of how the system works. The entrepreneurs also may not have the money to file for a patent whereas big businesses do. It's just a bad system and it has potentially gone from bad to...even worse. He's not gone yet but iMHO, he should be iFired now; we can't spend another holiday season with Mr. Grinch! I just hope he's not replaced with judge lucy Ho!! As a guy who loves technology, I don't like apple, I use Microsoft and Google's products but don't you think calling him a moron is a bit too much? I'm not a big fan of Michael but I think his point is quite true this time. It's not like David handles hundreds of thousands of patents by himself, but if he was the mastermind who approved apple's rounded corner thing, then yes, he's a moron. How would you say Kappos has mismanaged the USPTO? Given the state it was in when he took over, he's done an okay job in the past 4 years. The USPTO was busted before he got there. Like I said, he's done an okay job, nowhere near great. He has fixed some issues, and hasn't fixed others. I'm just saying that doesn't add up to "mismanagement", nor turning the institution into a "mockery". The patent system was a mockery well before David Kappos. And yet, under his management, the Apple rectangle with rounded corners patent (and nearly every silly patent Apple applied for) was granted. That qualifies as mismanagement to me. It may have been a mess he inherited, but it was just business as usual once he got in. He came in with over 800,000 backlogged patent applications, and over 500,000 patents filed each year. But, one patent determines the entire legacy of a guy? Come on. That's what's wrong with this country: no accountability and workers covering for coworkers and mismanagers; people given a free ride based on quotas and their incompetence overlooked; government employees who can not be fired because once a person becomes a government employee in this country the only way they get fired is either by gross misconduct, sexual scandal or crime conviction. People never get fired anymore based on job performance, or lack thereof!! Yeah, so glad that we don't have to deal with the quagmire of trademark on this site. That would be a whole different nightmare. Micheal H defending the USPTO which is heavilyu biased towards apple. Shocker. Did you miss the entire "The bad" section? Or the not-so-subtle jabs at Apple's patents? I really wish people would back up their claims of "bias", because they often really don't make sense. Not once did I "defend the USPTO". I merely said that the guy who has been in charge the past 4 years wasn't a total failure. Michael H is a blinding ray of light in comparison to most tech "journalists"/bloggers, and he actually can qualify as a journalist based on his highly insightful, well-thought-out and reasoned articles. If anything, he has a slight bias against (but respect for) apple, so saying he is pro-apps obviously is indicative of your lack of research and knowledge. He is the anti-Biddle (Gizmodo's resident apple gobbler), and deserves all the respect and acknowledgement due for such efforts. I don't agree with all Michael has to say, but I cannot disagree with his bases. No... he's defending Kappos... not USPTO. Michael is the least biased on the site. If you want to see bias towards Apple, talk to Ray S. or John V.
Kappos will enjoy his new job at Apple as a patent advisor. In law, a public defender cannot practice to become a full fledged attorney until he has been able to defend a certain amount of cases. Many times they push cases through just to get them off the desk. Who obviously suffers at the hands of this operation? Maybe Kappos has done somewhat of a good job pushing the backlogged applications through, but at what cost to the integrity of proper steps in protecting the intellectual property? Look at the chaos at large at this moment. I find it rather suspicious that patents of a certain company got pushed through under his leadership. I'm one step back from accusing foul play. Many of requirements mentioned such as "No working prototype" is against everything I was told when applying for a patent. It was essential a "working embodiment" was culminated to ensure proper witness of actual operation. I have been petitioning the USPTO for about a year now. I welcome any resignation from top officials that can't seem to point the extinguisher at the base of the fire. John B.